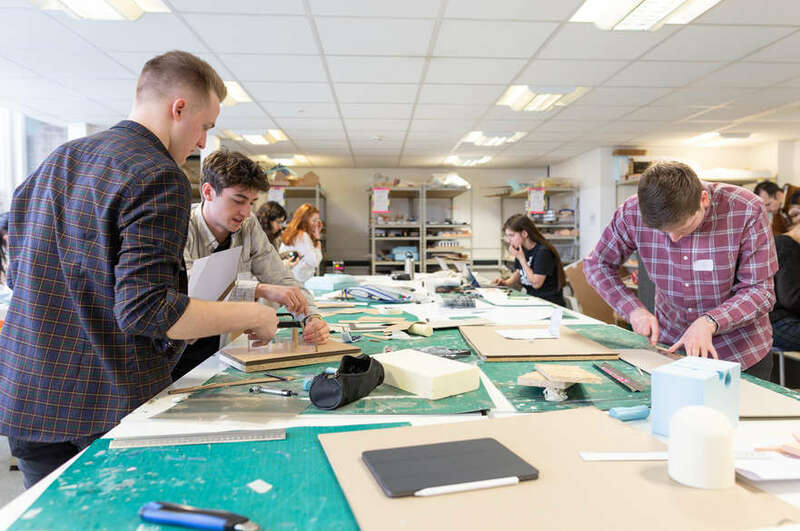 Environmental eco-artist Sarah Turner (BA Hons Furniture and Product Design 2008) has been busy recreating beautiful handmade daffodils inspired by the charity Marie Curie Cancer Care. 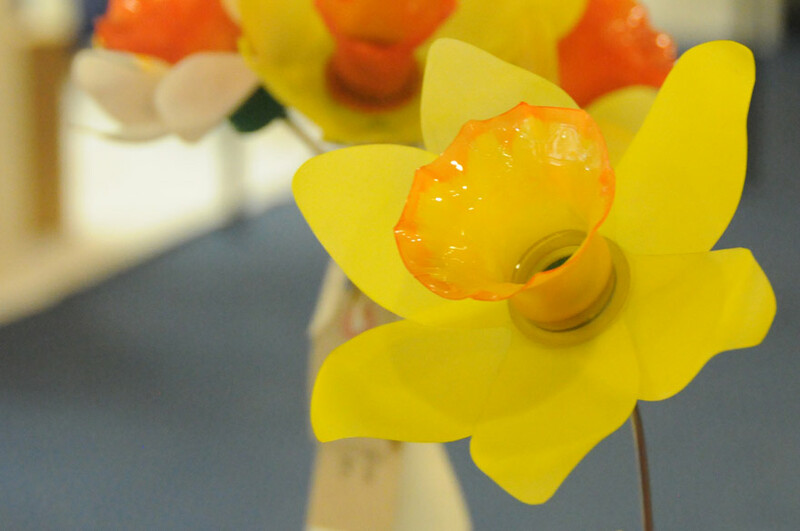 Environmental eco artist Sarah Turner (BA Hons Furniture and Product Design 2008) has been busy recreating beautiful handmade daffodils inspired by the charity Marie Curie Cancer Care. Each petal is hand cut, sandblasted then dyed vibrant yellow and orange colours before Sarah melts the petals to really bring them to life. Sarah says: "My grandparents used to grow daffodils and sell them to their friends to raise money for Marie Curie, so I thought I would try to carry on the tradition in my own way." Sarah donates £1 from the sale of each daffodil to Marie Curie Cancer Care. The daffodils can be ordered as a gift for Mother's Day on Sunday 15 March 2015 (orders need to be placed before 11 March to receive in time). You could buy a bunch and put them in an eco-vase that Sarah makes from Coca Cola or Fanta bottles. Place an order.